Non Resistor Plugs for M70? Thread: Non Resistor Plugs for M70? I tried searching but I dont see anything about it. I defer to the technical gurus here. As our Ignition system requires the use of low resistance 1k ohm spark plugs, would using non resistor plugs work on our cars? As the consensus that the standard 5 ohm is not adequate for our system. There are a few 0 ohm spark plugs that have the correct dimensions for our vehicles. I was just wondering the same thing about use of a non-resistor spark plug. Did you try them in the M70 engine? I have no clue is there is a risk of damaging the DMEs using them. Looks like NGK makes several racing non-resistor plugs with correct fit but heat range may be slightly colder. It is more than that!! Resistor plugs perform the task of Radio Frequency noise suppression. There is ZERO advantage for using a non-resistor plugs!! The spark plug RF noise can interfere with the digital signals in the complicated computer controlled engine systems it can also cause early failure if the semiconductor devices and integrated circuits that dominate these systems. Given the M70's complicated DME and EML computer controlled engine systems and the host of other body electronics in the 850 it would be wise to maintain the factory ignition system resistor specifications. Last edited by m6bigdog; 10-19-2018 at 12:20 PM. Not only that, you need some value of resistance at the plug to draw the voltage and voltage kick starts the current flow. However, too much resistance at the spark plug will reduce the current flow that creates the spark. Hence plugs with internal resistance of >1K are not good for the M70 ignition system. I was interested in using the non-resistor plugs to see if they would improve the signal for the CIS. The first set of plug wires I bought from one of the aftermarket BMW vendors did not work correctly and it took several weeks for me to determine that it was the aftermarket CIS that caused problems. So I subbed the old oem wires from 6 and 12 and engine ran fine. I also had a couple of new NAPA Echlin 'made in Italy' sensors so I tried those on the new wire set and they did not function correctly. I have no way of testing these sensors but I am sure curious why the aftermarket sensors don't work properly. 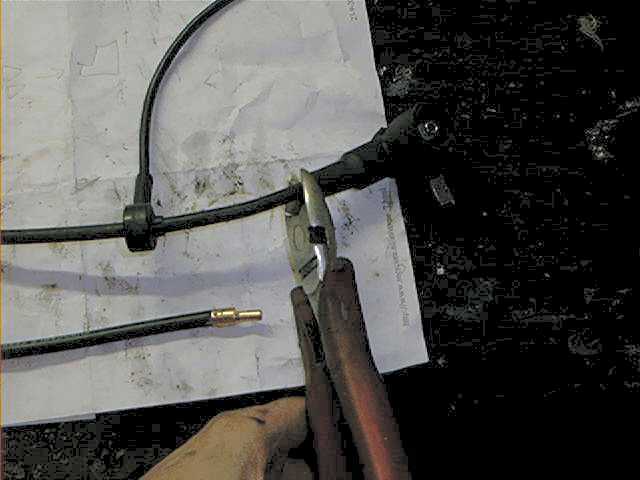 The next test I tried was using the BMW sensor on new wire harness and it did not work properly leading me to believe that the spark plug wire insulation (silicone) may be preventing sensor from picking up a signal. The hole inside the donut is slightly conical. This is not the first time that I read that when donuts are not working properly or the ignition wires/plugs # 6 and 12 are not functiong, there will be engine problems. So if the M70 starts, idles for some seconds, then dies, also check the ignition wires, plugs and donuts from cylinder 6 and 12. The usual cause of running for a few seconds and then stopping is the lack of cylinder identification signals. These are provided by the inductive sensors on HT leads 6 and 12. We had the same problem some years back on an 850: lack of cylinder identification signals. 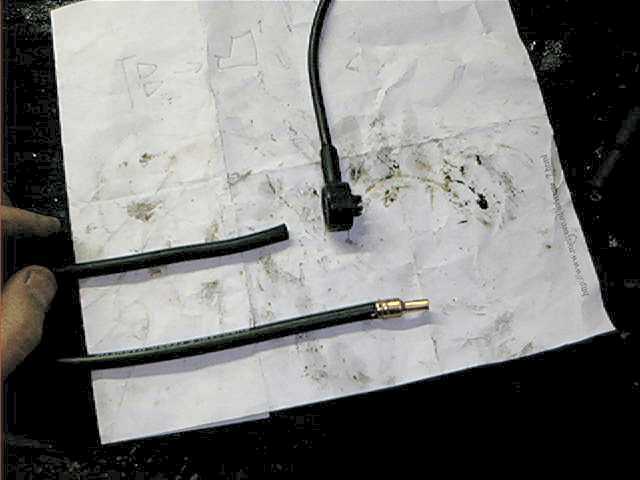 In our case the ignition wire boot of cylinder 12 was lose/not connected to the spark plug. Before we checked the usually subjects like fuel pumps, fuel pressure, ignition = distributors + rotors, crankshaft position sensors. What Are Non-Resistor Spark Plugs?